Match ends, Argentina 7, Bolivia 0. Second Half ends, Argentina 7, Bolivia 0. Attempt missed. Roberto Pereyra (Argentina) left footed shot from the centre of the box is just a bit too high. Assisted by Ángel Correa. Attempt saved. Gilbert Álvarez (Bolivia) left footed shot from the centre of the box is saved in the bottom left corner. Assisted by Edward Zenteno. Éver Banega (Argentina) wins a free kick in the defensive half. Foul by Wálter Veizaga (Bolivia). Goal! Argentina 7, Bolivia 0. Ángel Correa (Argentina) right footed shot from outside the box to the bottom right corner. Assisted by Matías Kranevitter. Facundo Roncaglia (Argentina) wins a free kick on the right wing. Corner, Argentina. Conceded by Edward Zenteno. Substitution, Argentina. Ángel Correa replaces Ezequiel Lavezzi. Substitution, Argentina. 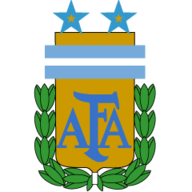 Carlos Tévez replaces Sergio Agüero. Facundo Roncaglia (Argentina) wins a free kick in the attacking half. Attempt blocked. Sergio Agüero (Argentina) right footed shot from the right side of the box is blocked. Assisted by Lionel Messi. Attempt saved. Lionel Messi (Argentina) right footed shot from the centre of the box is saved in the centre of the goal. Assisted by Éver Banega. Substitution, Argentina. Facundo Roncaglia replaces Milton Casco. Substitution, Argentina. Éver Banega replaces Erik Lamela. Substitution, Bolivia. Gilbert Álvarez replaces Marcelo Moreno. Goal! Argentina 6, Bolivia 0. Lionel Messi (Argentina) left footed shot from the centre of the box to the centre of the goal. Assisted by Sergio Agüero with a through ball. Offside, Bolivia. Daniel Vaca tries a through ball, but Rodrigo Ramallo is caught offside. Corner, Bolivia. Conceded by Ramiro Funes Mori. Attempt blocked. Damián Lizio (Bolivia) right footed shot from outside the box is blocked. Assisted by Rodrigo Ramallo. Attempt missed. Ramiro Funes Mori (Argentina) header from the centre of the box misses to the right. Assisted by Lionel Messi with a cross following a set piece situation. Emmanuel Más (Argentina) wins a free kick on the left wing. Foul by Miguel Hurtado (Bolivia). Foul by Ronald Eguino (Bolivia). Goal! Argentina 5, Bolivia 0. Lionel Messi (Argentina) header from the centre of the box to the bottom right corner. Assisted by Milton Casco with a cross. Substitution, Bolivia. Rodrigo Ramallo replaces Martin Smedberg-Dalence. Substitution, Argentina. Lionel Messi replaces Nicolás Gaitán. Ezequiel Lavezzi (Argentina) wins a free kick in the defensive half. Foul by Abraham Cabrera (Bolivia). Foul by Gonzalo Rodríguez (Argentina). Marcelo Moreno (Bolivia) wins a free kick in the attacking half. Wálter Veizaga (Bolivia) wins a free kick in the defensive half. Offside, Bolivia. Martin Smedberg-Dalence tries a through ball, but Ronald Eguino is caught offside. Damián Lizio (Bolivia) wins a free kick on the left wing. Goal! Argentina 4, Bolivia 0. Sergio Agüero (Argentina) right footed shot from the centre of the box to the bottom left corner. Assisted by Ezequiel Lavezzi with a cross. Offside, Bolivia. Damián Lizio tries a through ball, but Miguel Hurtado is caught offside. Foul by Erik Lamela (Argentina). Ronald Raldes (Bolivia) wins a free kick in the defensive half. Milton Casco (Argentina) wins a free kick in the defensive half. Foul by Marcelo Moreno (Bolivia). Matías Kranevitter (Argentina) wins a free kick in the attacking half. Second Half begins Argentina 3, Bolivia 0. Substitution, Bolivia. Abraham Cabrera replaces Juan Carlos Arce. Substitution, Bolivia. Damián Lizio replaces Danny Bejarano. Substitution, Bolivia. Alejandro Chumacero replaces Alejandro Meleán. Substitution, Bolivia. Ronald Eguino replaces Rudy Cardozo. First Half ends, Argentina 3, Bolivia 0. Goal! Argentina 3, Bolivia 0. Ezequiel Lavezzi (Argentina) left footed shot from the centre of the box to the centre of the goal. Assisted by Sergio Agüero with a through ball following a set piece situation. Hand ball by Wálter Veizaga (Bolivia). Corner, Bolivia. Conceded by Gonzalo Rodríguez. Corner, Bolivia. Conceded by Emmanuel Más. Juan Carlos Arce (Bolivia) wins a free kick in the defensive half. Attempt saved. 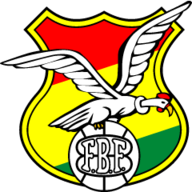 Martin Smedberg-Dalence (Bolivia) right footed shot from outside the box is saved in the bottom right corner. Foul by Sergio Agüero (Argentina). Wálter Veizaga (Bolivia) wins a free kick in the attacking half. Attempt missed. Edward Zenteno (Bolivia) left footed shot from the centre of the box is close, but misses to the left following a set piece situation. Foul by Nicolás Gaitán (Argentina). Juan Carlos Arce (Bolivia) wins a free kick in the attacking half. Goal! Argentina 2, Bolivia 0. Sergio Agüero (Argentina) right footed shot from the right side of the box to the bottom left corner. Assisted by Roberto Pereyra. Nicolás Gaitán (Argentina) wins a free kick in the defensive half. Wálter Veizaga (Bolivia) wins a free kick on the left wing. Attempt saved. Marcelo Moreno (Bolivia) left footed shot from outside the box is saved in the centre of the goal. Assisted by Alejandro Meleán. Attempt saved. Sergio Agüero (Argentina) right footed shot from the right side of the box is saved in the top centre of the goal. Assisted by Nicolás Gaitán with a cross. Corner, Argentina. Conceded by Miguel Hurtado. Attempt missed. Sergio Agüero (Argentina) header from the centre of the box is too high. Assisted by Milton Casco with a cross. Erik Lamela (Argentina) wins a free kick in the defensive half. Attempt missed. Ezequiel Lavezzi (Argentina) right footed shot from the centre of the box is too high. Gonzalo Rodríguez (Argentina) wins a free kick in the defensive half. Martin Smedberg-Dalence (Bolivia) wins a free kick in the defensive half. Sergio Agüero (Argentina) wins a free kick in the defensive half. Foul by Ronald Raldes (Bolivia). Foul by Milton Casco (Argentina). Goal! Argentina 1, Bolivia 0. Ezequiel Lavezzi (Argentina) right footed shot from the centre of the box to the bottom left corner. Assisted by Sergio Agüero with a through ball. Matías Kranevitter (Argentina) wins a free kick in the defensive half. Foul by Danny Bejarano (Bolivia). Erik Lamela (Argentina) wins a free kick on the left wing.